It’s fine if MSNBC and FOX have a war of words over whose leading us to Armageddon. Given recent history there’s ample proof neither political party could even lead us to Armageddon successfully – so color us doubtful. But, the never ending heat wave across the whole country, too much television (who wants go outside? ), and political hyperbole around the deficit is a toxic cocktail that’s been slipped into our drinking supply. The last two weeks in talks with the leadership from both sides of the aisle has worn me out from the sausage making process. It was ugly, perverse and disgusting. I think these noxious cocktails are especially affecting the media folks you want to give us the inside scoop on Washington deal making. Or, maybe its just sloppy rhetorical skills, which seems more likely. This analogy of politics to sausage making gets attributed to Otto Von Bismarck. There’s not a lot of evidence that he actually said it, but it gives a speaker citing this a thin veneer of authority to dismiss politics and sausage making at the same time. It is time for us realize that sausage making today is not the sausage making of Bismarck’s day. While the politics and the avarice of Bismarck’s day are no better than in 2011, sausage making has actually made significant progress. If you talk to any sausage maker you would know this. I’m in the process of writing a book about sausage makers in America. I hear this in my conversations with sausage makers. Quality ingredients, hard work and attention to detail are damn important. If you don’t get the weight, meat portions, temperature, pH, curing agents and seasonings right you have an un-edible meat experiment. 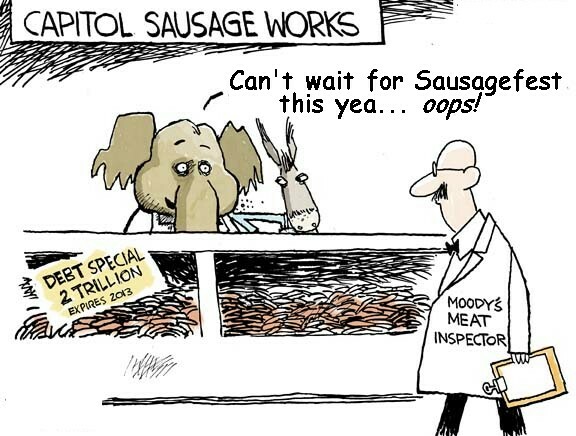 Unlike our political leaders professional sausage makers have to pass health inspections by state, local or federal inspectors. How many politicians could pass a health inspection? You can find sausage makers in your hometown who have shops on Main Street. They’re accountable to their customers everyday. Amazingly, you can sample stuff before you buy it and only buy as much as you want. And, these folks are often there six days a week or seven and you never see them on television. You might even want to invite them to your cookout. Do you really want an elected official anywhere near where you’re eating? The facts are in and sausages and sausage making is not comparable to the US political process. Its fine with me if a commentator looks down their nose at politicians or their process, but denigrating sausage making has to stop. Here’s a simple proposal. Let’s finally divorce politics from sausage making final. Let’s declare the Saturday of Labor Day weekend Sausage Day in America – forever more. This year September 1st is the second annual Sausage Day in America and the Labor Day holiday wraps around it perfectly like a bun around a hot dog. • No one talks politics this day – why ruin a holiday? 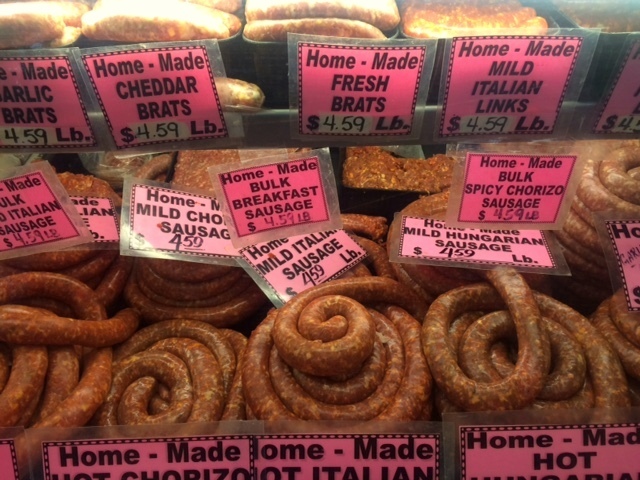 • Go to your local sausage shop and buy some great sausage – and enjoy a sausage without the political BS.